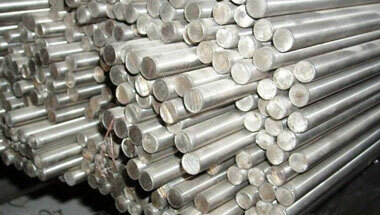 Manufacturer & Exporter of Stainless Steel 310H Round Bars & UNS S31009 Round Rods, SS 309 Bright Bars, Steel 310H Rods, 310H Hexagonal Bar Suppliers in India. We Neon Alloys, is one of the leading & trustworthy name in the industry as a manufacturers & exporters of ASTM A182 Gr F 310H Round Bar. Fabricated using premium quality raw material, these bright bars are appreciated by our clients for their high strength, corrosion resistance and durability. Moreover, we also make sure that our range meets the international quality standards. 310H Round Bar are highly demanded due to their dimensional accuracy, durability, corrosion resistance and excellent finish. Moreover, the clients can avail the Stainless Steel Rods at very moderate prices. They are known for their long lives and are used in diverse industries such as Food, Dairy, Beverage, Paper, Chemical, Cryogenic, Automotive and Aerospace, Generator industries, Shaft industries, Cement industries, Gas industries Power project, Electrical industries etc. Stainless Steel 310H Round Rods Manufacturer, SS 310H Forged Bar, Steel 310H Hex Bar, Stainless 310H Hollow Bar, UNS S31009 Black Bars Supplier in India. Egypt, Vietnam, Houston, Africa, London, Italy, Algeria, UAE, Cameroon, Iraq, Sudan, Sri Lanka, Turkey, Israel, Peru, Kuwait, Nigeria, Thailand (Bangkok), United States, Kazakhstan, Australia, Dubai, Germany, Ghana, Tunisia, Saudi Arabia, Indonesia, Jordan, Morocco, Chine, New Zealand, Azerbaijan, Canada, Venezuela, UK, Russia, Ethiopa, Angola, South Africa, Uganda, Mozambique, Malaysia, Iran, Trinidad and Tobago, Mexico, Argentina, Bahrain, Democratic Republic of the Congo, Brazil, Colombia. Port Elizabeth, Cairo, Jerusalem, Lubumbashi, Addis Ababa, Lagos, Kaduna, Lusaka, Benin, New York, Giza, Ouagadougou, Ibadan, Maputo, Tel Aviv, Kampala, Khartoum, Maiduguri, Zaria, Freetown, Antananarivo, Istanbul, Luanda, Bamako, Aqaba, Tehran, Bethlehem, Kolwezi, Pretoria, Yaoundé, Data from the UN, Kinshasa, Cairo, Muscat, Hong Kong, Kano, Dakar, Bulawayo, Nairobi, Sharm el-Sheikh, Soweto, Byblos, Conakry, Singapore, Alexandria, Dar es Salaam, Casablanca, Rabat, Mbuji-Mayi, Fez, Durban, Amman, Mogadishu, Mecca, Tripoli, Accra, Harare, Cape Town, Johannesburg, Abu Dhabi, Dammam, Doha, Brazzaville, Beirut, Port Harcourt, Abidjan, Riyadh, Subra al-Haymah, Dubai, Jeddah, Algiers, Colombo, Douala, Omdurman, Manama.